Meat and potatoes — the phrase conjures up some memorable meals, doesn't it? Dinner just isn't dinner for many people unless it includes some combination of these two foods. Be sure to cook the meats to the proper internal temperature for food safety reasons. 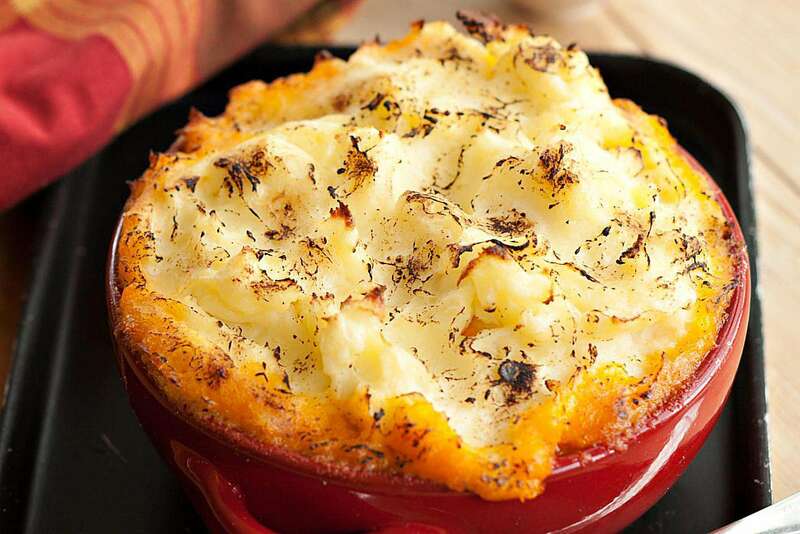 Shepherd's Pie was originally created to use up leftovers. It's hearty, filling, warm and comforting — perfect for a winter night. And this recipe is easy because it only calls for six ingredients! This incredible savory pot roast recipe uses an entire 5-ounce jar of horseradish! It mellows into a slightly sweet and savory coating on the tender and juicy meat during the long cooking time. Yum. Meat and potatoes combined in a recipe don't have to be stodgy. This fabulous sausage and potato salad ​uses grilled potatoes and meat served with salad greens, tiny tomatoes, and a fabulous dressing. Just five ingredients in your crock-pot make a wonderful hearty dinner with exotic flavors using this Spicy Sausage and Potato Casserole recipe. You can also add some carrots or bell peppers. You can have this meaty hash brown potato casserole in the oven in about 10 minutes because it calls for just six ingredients. Then you can relax while it bakes to creamy perfection! This fabulous crockpot pot roast dinner is perfect to come home to on a cold and blustery night. It's simple to make and tastes incredibly good. The flavor and texture combinations in this easy crockpot beef stew with herb dumplings are wonderful. It's rich and delicious and the aroma is simply incredible. Tender pork chops bake in a creamy, cheesy potato mixture with this one-dish meal, It's perfect for busy weeknights. Coat this pork roast with mustard and herbs, then slow cook it with potatoes and carrots. All you'll need to finish off this recipe is some crusty bread and dessert.